For those of you who don't know, I manage the paint department for a very large home improvement retailer. This means I know a little bit about color, about how light effects color, and a smidgen about what colors go together. The worst thing a customer can do is to walk in, look at the paint swatches on a sample wall and choose a color without any consideration to the lighting in the room, or the furnishings, or the flooring, all things which are going to effect the way that color is going to look after it has been applied to the walls. One of the best things a potential customer can do is to purchase a paint tester, one of those little 8 oz jars of paint. This gives them an idea as to just what their room is going to look like when finished. However, there are some people who just don't understand this process. I call them the 10% people. They are the ones who believe paint department associates can minutely manipulate the amount of tint added to these testers to give them the precise, original color they want. These individuals want designer paints. They want to be able to brag to their friends about how long it took to get the precise shade they needed for their walls. These people are idiots. Let me give you an example. About a week ago a mother and daughter approached one of my paint associates with a paint swatch which was a pale coral color. That color, however, was just a tad too light for them so they had the associate adjust the color up by 55%. One evening, a few days ago, they returned and talked to me. The tester was just not the right color. They wanted me to add 10% more tint. I didn't laugh at them. 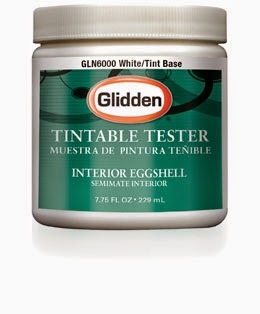 I did try to explain that in a 8 oz tester there is not a lot of tint and since they had already applied some of the paint to a wall it was not even a full tester. In their sample there was 1 drop of black. It is impossible to add 10% of one drop, even if the tester were full. I could have given them what they wanted in a new tester, but that wasn't what they wanted. I didn't even try to explain how a 10% adjustment would be was so negligible the difference would have been imperceptible. So I added 4 drops of red and 3 drops of yellow to make them happy. After shaking the sample up, I put a dot on the lid next to the original dot so they could compare the colors. There was no change. The mother looked at her daughter and asked "Do you think it's too dark now?" and the daughter replied. "We need to think about this." You see the whole thing had nothing to do with the shade of the color, making it just 10% darker. It did have quite a lot to do with control. Of course they couldn't admit both dots looked the same, that would have meant admitting failure. So, they were going to go home and think about it. In the end, if they paint the room, I suspect they will go with the original color, that tends to be what these 10% people do. Of course a lot of them are never going to be satisfied. I worked with a couple who both happened to be dentists, and who probably went through 7 or 8 different shades of gray, having them adjusted up and down, matching them to different paint swatches, and noting each time the adjustment was either too dark or too light. They ended up going with Dolphin Fin, one of the first testers I made for them. For these people it is all about controlling the process. They need to be in charge. In the end they will tell friends and neighbors how it took "so many hours," to get precisely the color they needed. These people are idiots.